Our first stop on the great Beer Book adventure was Counting Room, a lovely bar on the northern end of Williamsburg. Grabbing the two corner seats of the bar, we ordered our first free beers, the Southern Tier Eurotrash Pilz. 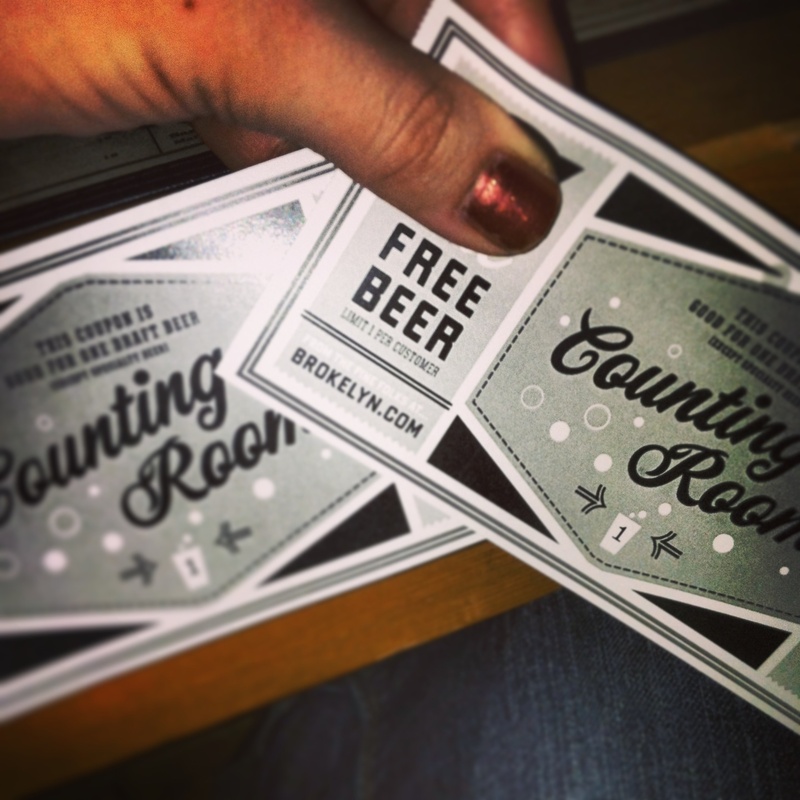 I had never been to Counting Room before, and it was a lovely experience. The bar is located near Brooklyn Bowl and the Brooklyn Brewery, but it couldn’t be more different. The ambiance is very intimate, the dark bar lit with candles. The bar itself was spacious enough to feel as if we had our own table, and the crowd felt relaxed and sophisticated. The only problem we encountered was that the bar owner had not yet told his employees about the promotion! Luckily, he accepted our coupons without hesitation. I would absolutely return to Counting Room, especially to try one of their cheese plates or baked cheeses!